Jute Chairs are developed after spinning the shiny jute fiber into coarse and then binding it with structure made up of either metal or wood. Reflecting traditional look, jute made chairs find their use at homes, hotels, cafeterias and farm houses for sitting purposes along with increasing the overall appearance of an area. These chairs are widely appreciated worldwide for their UV protection, low thermal conduction, sound & heat insulation and anti-static properties. One can avail these attractive & traditional looking chairs in a variety of sizes, designs, patterns and shapes from the market. Making jute chair is not everybody's cup of tea, it requires knowledge of how jute is weaved and then the how to bind the weaved jute with frame of a chair. Diligent craftsman undertake this process and tightly bind the jute fiber to a structure in such a way that chair have a comfortable to sit and attractive looking surface. Jute Chairs reflect beautiful looks in a combination of traditional and contemporary designs. These are widely used as dinning chair, cafeteria chair, kitchen furniture and with sofa set for providing comfort to the people. Today in the era of challenging competition, various manufacturers offer jute chairs in a variety of designs, patterns, sizes, shapes and colors with the aim of meeting the diverse preferences of customers. One can choose chairs made up of jute as per his/her own choice and space availability for having comfort sit and also increasing the decor. 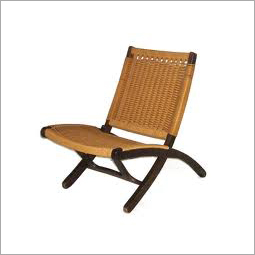 Chairs made of jute are made and offered by various renowned jute chairs manufacturers. They ergonomically design these chairs and ensure that they provide optimum comfort to the user. For convenience, one can also shop jute made chairs from various e-commerce website on just a click. One can also buy these quality chairs from local shops, malls and furniture stores.